What Do Players Want Most? 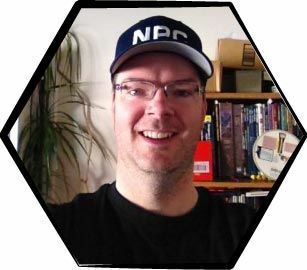 In his Engaging Characters and Stories video, Troy Alford from Nerd Rage tells us why players show up to sessions. He makes a great point I’ve not heard elsewhere. And you can leverage this point immediately in your designs. Troy also shares excellent advice about how to make your players care and how to make their characters care. Feeling crafty? Check out these instructions on how to create awesome glowing pillars (battery powered!) to make sure your next stage boss fight gets glowing reviews from your players. Have you got a player who loves to take chances? Here is an interesting mechanic idea. You could make this a character background element, a feat or ability, or just a house rule. The post is incomplete, and I can think of how I’d use this idea in a different way in my campaign. Regardless, there’s sure to be some fun inspiration here for you. I’m not sure how long posts on the Wizards.com forums will survive. Projects like the ill-fated Gleemax could shake things up, or Wizards might get tired of the expense. So I recommend checking out this epic thread for trap inspiration sooner than later. Now up to an amazing 258 pages and over 2000 traps, this thread fulfills its promise. Need trap? Get it here!